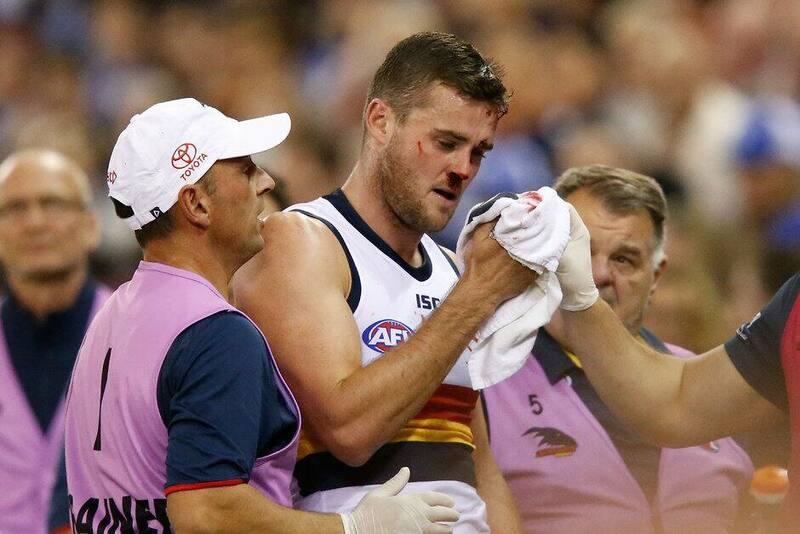 Following Adelaide's 12-point loss to North Melbourne, Crows Science and Medical Services Coordinator Steve Saunders provided the following injury report. Chayce was involved in a heavy collision late in the first quarter. Following medical assessment, he was removed from play with concussion and he will be monitored throughout the week. Brad received an elbow to the forehead in the third quarter and required sutures for a laceration, and was medically cleared to return to play and completed the game. He was concussed following head contact with the ground early in the fourth quarter in the club's SANFL game. He was removed from play with concussion and will be assessed in the coming days.